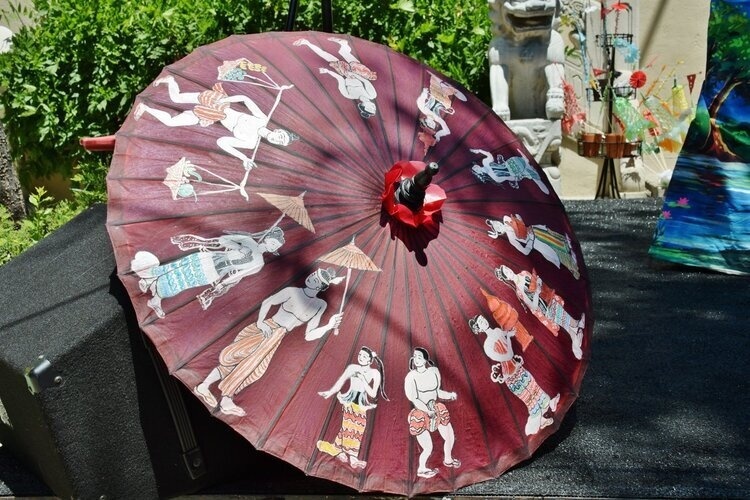 Join us as we celebrate Southeast Asian New Year with fun activities for the whole family! Create your own ceremonial banner, build a sand stuppa, paint with water balloons, and more. Enjoy free admission all day, gallery tours, and storytime for kids. Be inspired by the traditional water festivals of Southeast Asia as you throw paint-filled water balloons at our collaborative painting! See the hidden image emerge throughout the day! Build your own sand pagoda, inspired by the Southeast Asian New Year tradition that brings good fortune and blessings. Decorate it with colorful flags, flowers, and stones and see it grow as others contribute their pagodas throughout the day! Did you know that Burmese zodiac is based on the day of the week that you were born? In Thailand and Laos, a mythical creature, called Naga, replaces the dragon that is in the Chinese zodiac. Find out what your zodiac animal is in each culture and design your own ceremonial banner to bring home! Make your own shadow puppet inspired by the ones in Myanmar! Color, cut, and assemble them to make them move and use in your own puppet show!